Sounds pretty real doesn’t it? Are these true of your walk with God? These are just a few aspects of a relationship with God the Book of Psalms addresses. 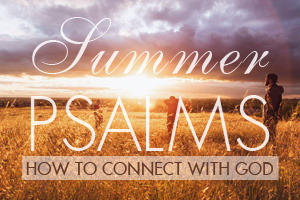 Dig into the Psalms and discover more. This Sunday we’ll continue with Psalm 130 about waiting on God and needing His forgiveness and mercy.